I know these are moving announcements - but that font is so amazing! 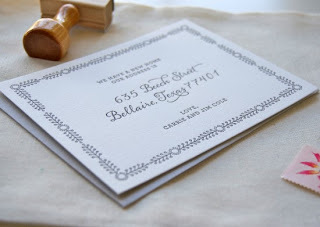 Love the simplicity, the elegance - no reason it can't be a wedding announcement as well. Thanks to OhSoBeautifulPaper for this one!